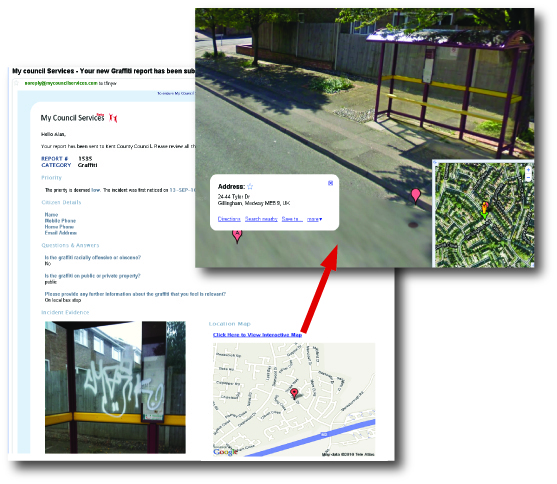 We offer many new radical features; one we are partially proud of is our virtual street view. When you receive a report from the citizen they will have taken a photo of the incident and captured the location. When you click the link ‘Click Here to View Interactive Map’ you are taken to Google maps where you can select ‘Street View’. This means you can sit in the comfort of your office and view the problem and assess what level the priority should be. You can see the location of the incident and how it affects it surroundings. This will add value to the service you offer and ensure a quick resolution.